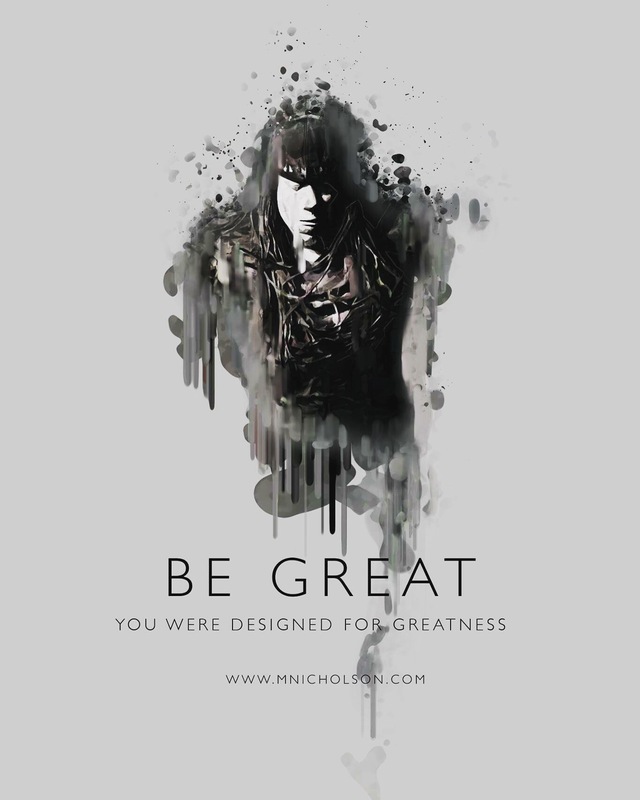 you were designed to be great. There are times that we will have doubt. There are times when we will feel as though that we are not enough. In those times we should remember that we were created for greatness. No matter what your ailment or disposition may be. You were created to have an impact in this world in some shape or form. You don’t have to impact the world like anyone else. You have to impact he world as yourself. You can find a cure for the ills of the world. You can be an inspirational / motivational force in it as well. You can take physical action. You can take action via your words. You have something to offer this grand scheme of life. Don’t hold it and let it deteriorate. You weren’t created to do that. 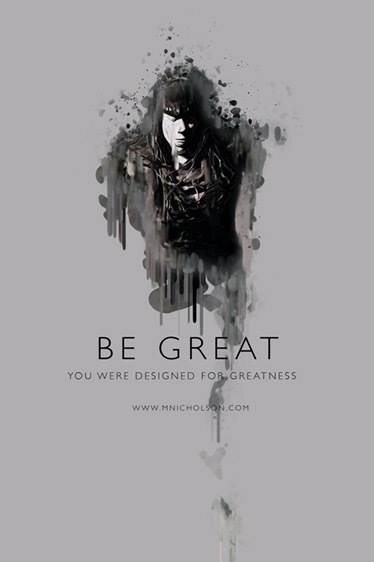 You were created for greatness.